The Lego Movie is scheduled to hit theaters early next year so the team behind the ambitious movie is churning up the marketing machine for it. They have just recently released a teaser for the upcoming film featuring the character of Metal Beard. Metal Beard is voiced by actor and comedian Nick Offerman (The Kings of Summer, We're The Millers, Parks and Recreation, Axe Cop). Also voicing characters in the film are Chris Pratt, Will Arnett, Elizabeth Banks, Morgan Freeman, Liam Neeson, Will Ferrell, Jonah Hill, Channing Tatum and Cobie Smulders. Meet Metalbeard in the teaser video below and hear him say "Really hard? Wiping your bum with a hook for a hand is really hard." The main characters in the movie are Emmet, Batman, Wyldstyle, Vitruvius, Bad Cop/Good Cop, Metalbeard, President Business/Lord Business, Green Lantern, Superman, and Wonder Woman. The film was directed by Chris Miller and Phil Lord, creators of the critically-acclaimed animated feature Cloudy with a Chance of Meatballs. 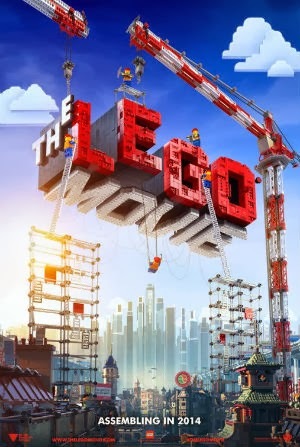 The Lego Movie will be released in the United States and Australia on February 7, 2014. The Philippines will either get an earlier or later release date.